She has also appeared on public television and radio discussing pertinent women’s health issues.Dr. Solomon’s goal is to allow women to take control of their own health care through KNOWLEDGE. Additionally we will attempt to promote women’s health and wellness issues globally. Dr. Solomon specializes in minimally invasive surgery for bleeding disorders. She has performed over 600 Novasure and Thermachoice ablations with excellent results. With more than eleven years of experience in bio-identical hormone replacement therapy, our practice has become a referral center for women from all over the state of Florida. 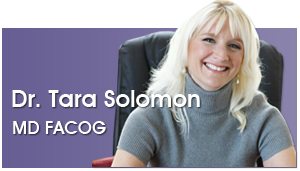 Dr. Solomon has developed individualized treatment plans for the more than 1800 patients that she is presently treating. Our center only uses established, reputable compounding pharmacies to make our patient’s hormones. The incredible results that our patients have seen from bio-identical hormones have been life changing in many cases. Many women were afraid of cancer risks and side effects of bio-identicals, so they put treatment off for years. Now they have their lives back again! Our patients continue to refer their friends and family members to us. We welcome you to our practice. To your good health and happiness! 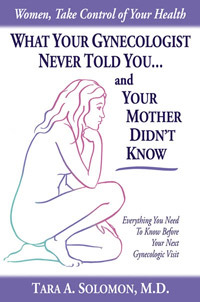 To purchase my book, What Your Gynecologist Never Told You…And Your Mother Didn’t Know, click here.